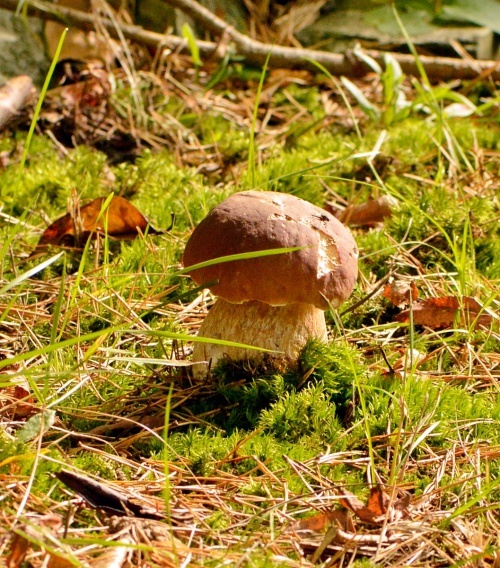 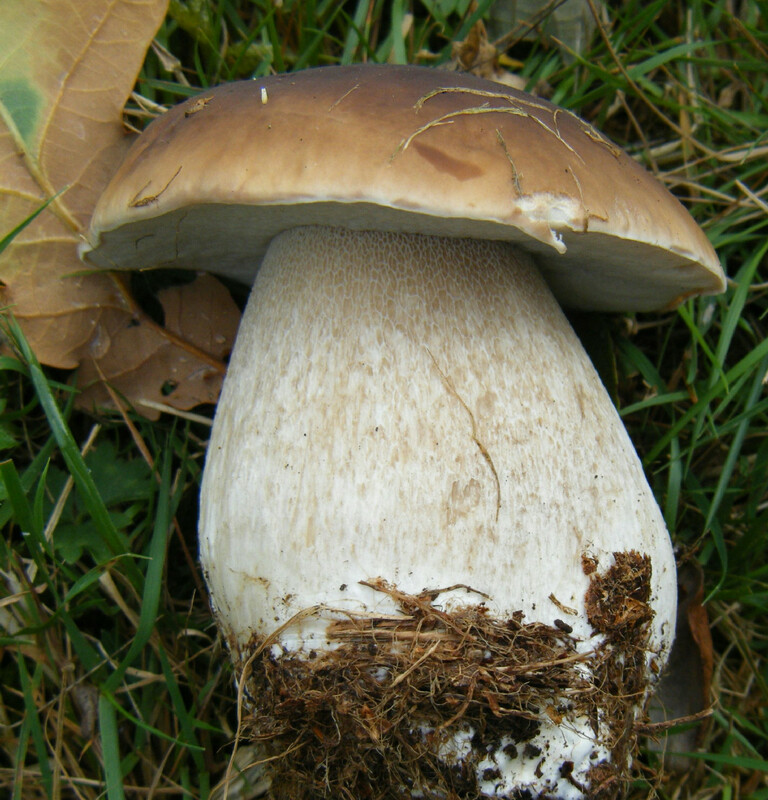 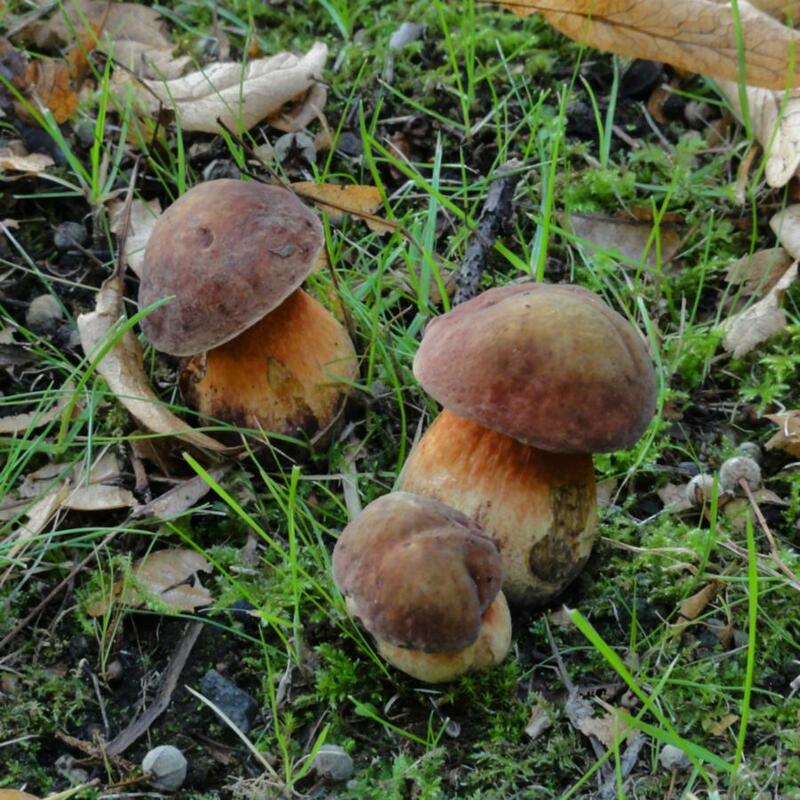 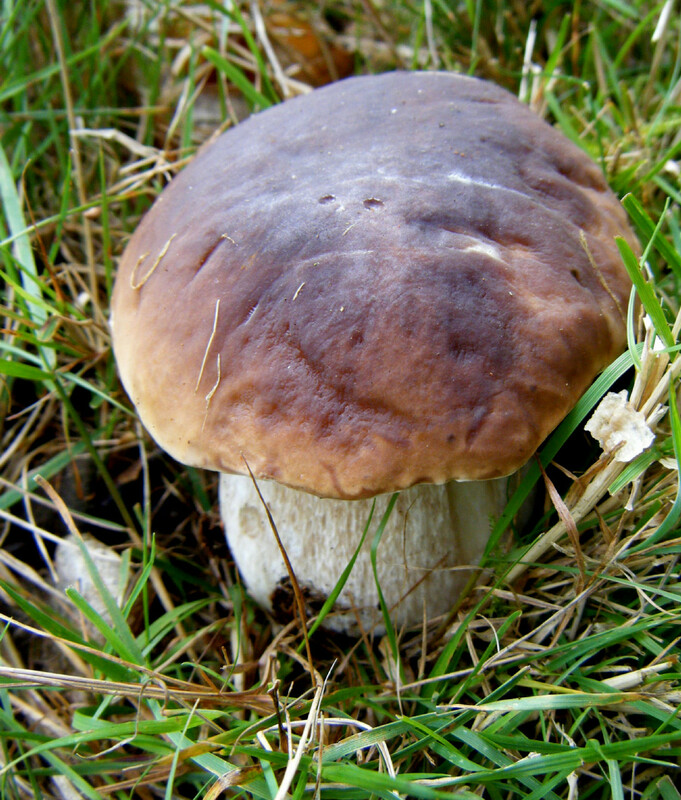 With its slightly greasy surface and 'Penny Bun' surface texture, the yellow-brown to reddish-brown caps of Boletus edulis range from 10 to 30 cm diameter at maturity. 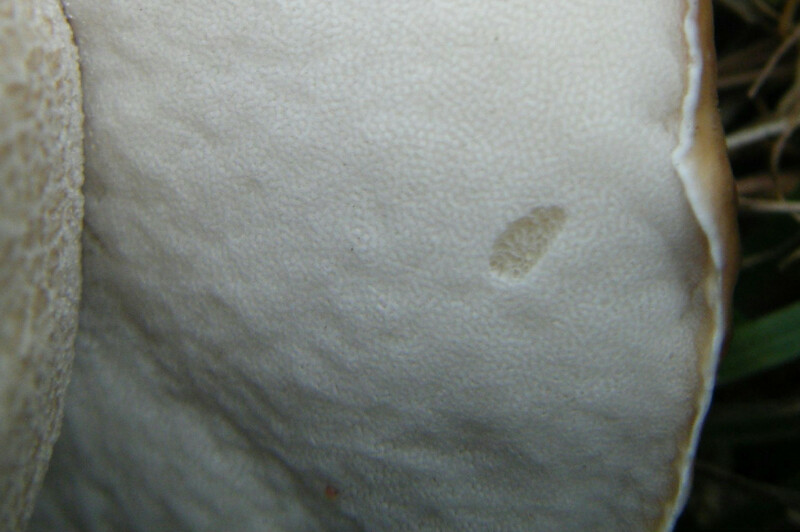 The margin is usually a lighter colour than the rest of the cap; and when cut, the cap flesh remains white, with no hint of bluing. The tubes (seen when the cap is broken or sliced) are whitish to pale yellow and are easily removed from the cap; they end in very small white or yellowish pores. 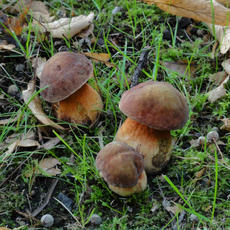 On soil beneath trees, notably Beech and less commonly Oak. 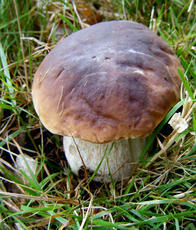 It is frequently found at the edge of clearings in broad-leaved and coniferous woodland.